Homeschooling is a great joy most times. The flexibility it provides brings a breath of fresh air to our homes. We have the freedom to fill our schedule as we will and give our kids the quality education they deserve. This doesn’t mean that there aren’t any challenges along the way and sometimes we feel like giving up and letting go. It can be tough and stressful. However, our love and desire for our children’s best keeps us going. Learning how to find encouragement, advice and tips for our homeschooling journey is important to us as homeschool moms. Podcasts for homeschool moms are a great place to find just what you need – when you need it! 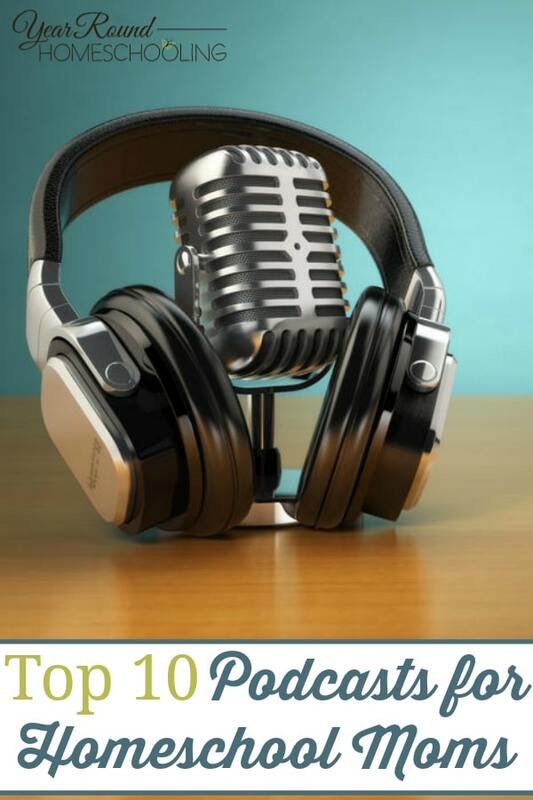 Podcasts are a great resource for busy homeschool moms because they are mostly hands-free. You can listen to podcasts when you’re cooking for your family, while on a walk, driving your kids to and from activities, while you’re in the shower and much more! Take advantage of the “quiet” moments in your day to find encouragement and help for YOU through these top podcasts for homeschool moms! Kendra Fletcher tells it like it is in this very raw and exciting podcast. There is so much covered here, including some topics on homeschooling, parenting, and spirituality, among others. 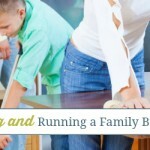 Homeschooling moms will find the reality of what happens during homeschooling. This is a fun and friendly podcast, hosted by Angela and Maren. 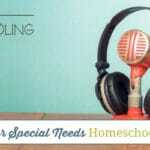 Every aspect of homeschooling is covered in this podcast and they often have guest posters covering specific topics related to homeschooling. This podcast shares encouragement and inspiration to homeschooling moms as a way to cultivate a love-filled life for our kids. You’ll find a new episode of this podcast on iTunes every Saturday. As a busy mom, sometimes it is hard to connect with our kids. Helping busy moms who are homeschooling and trying to get their act together are what make this podcast successful. Hosted by Pam Barnhill, this podcast concentrates on teaching homeschoolers how to tackle different issues affecting their homeschooling life. With over 100 episodes you’re sure to find encouragement and help you need for your homeschooling journey. Each homeschooling mom is concerned about raising kids who are well rounded, curious and ready to learn about a lot of other things in life. This podcast provides answers, inspiration, challenges, and lessons on how to go about this. The interviews with the kids themselves at the end of some episodes are hilarious and insightful. It is important to keep your sanity when you are homeschooling and this show will show you exactly how to do so. Dr. Melanie Wilson, the host, offers tips and advice to keep you on point while homeschooling. This is an easy, fun and quirky podcast to listen to. You will learn a lot about homeschooling challenges, triumphs, and inspirations from Cait and Kara. You can be a homeschooling mom and still be classy and savvy. This iTunes podcast dissects all elements of homeschooling from every angle, allowing homeschooling moms to be the best they can be while still achieving their homeschooling goals. Get real-life insights and outlook in this podcast hosted by Pam Barnhill. The interviewees share elements of their own homeschooling journeys to help you learn, but also to be encouraged by them! 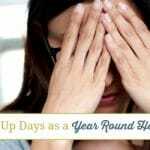 You will find yourself refreshed and renewed by listening to the homeschool journeys of other homeschool moms. Every homeschool mom needs to be reminded that what she is doing is amazing, however, it is also challenging and requires much encouragement to do well. What are your favorite podcasts for homeschool moms?